Several representatives of Bowe Machine Company will be in Las Vegas for the ISRI Convention April 14-19. 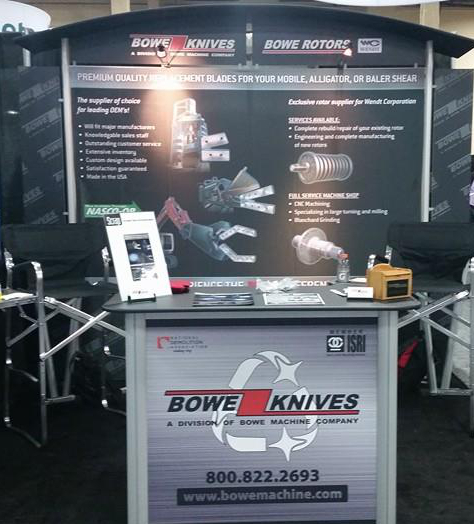 Come visit us at our Bowe Knives Booth #1353. We will also be at Booth #1249 with WENDT Corporation, our exclusive partner and distributor of Bowe Shredder Rotors. We hope to see you there!